Fourth year RU Classics grad student Ben Hicks recently sojourned in Scotland, where he gave a paper at Identity, Representation And The Principate AD 14-68. 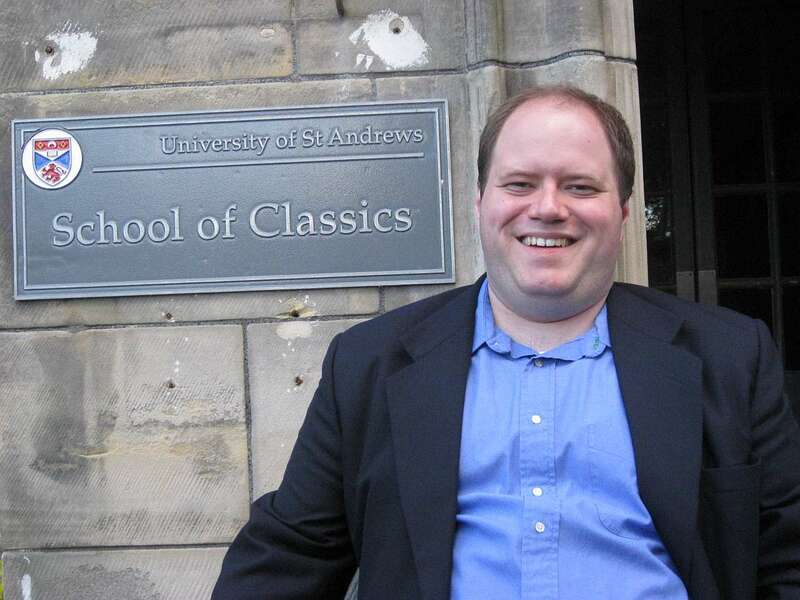 The conference ran from 18-21 June 2008 and was sponsored by Dr. Alisdair Gibson of St. Andrews University. Hicks’ paper, entitled “‘Unfortunate Rather than Wicked’: Failure to Communicate in the De Legatione ad Gaium,” explored the failure of Philo’s embassy to the emperor Gaius through the use of speech act theory. The conference drew scholars of the early Principate from the United States, United Kingdom, Canada, and Germany. Benjamin Hicks is a native of North Carolina, having received his BA from Washington and Lee University in Lexington, Virginia. He is currently beginning work on a dissertation focusing on imperial consilia and decision-making. Hicks also will be presenting a paper entitled “Evocatio Imagery in Tacitus’ Histories 4.83-84” in Philadelphia at the 140th Annual Meeting of the American Philological Association (January 2009).